On the 4th floor of a 1930s building, Quintessence overlooks Place Puvis de Chavanne and offers you an exceptional new address. 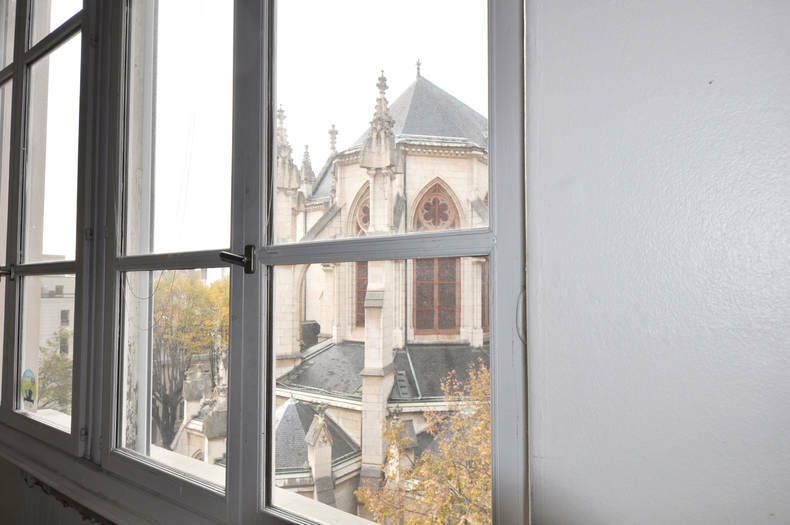 Discover 6 trays to renovate in Lyon 6 in the heart of the golden square. On the 4th floor of a 1930s building, Quintessence overlooks Place Puvis de Chavanne and offers you an exceptional new address in France. 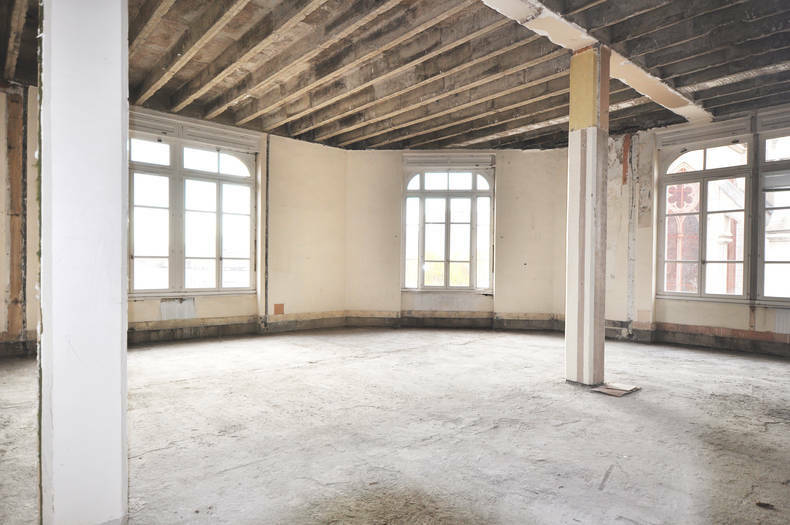 Discover 6 apartments to renovate in Lyon 6 in the heart of the golden square. Quintessence is a renovation of former offices led by Greenvest Group. 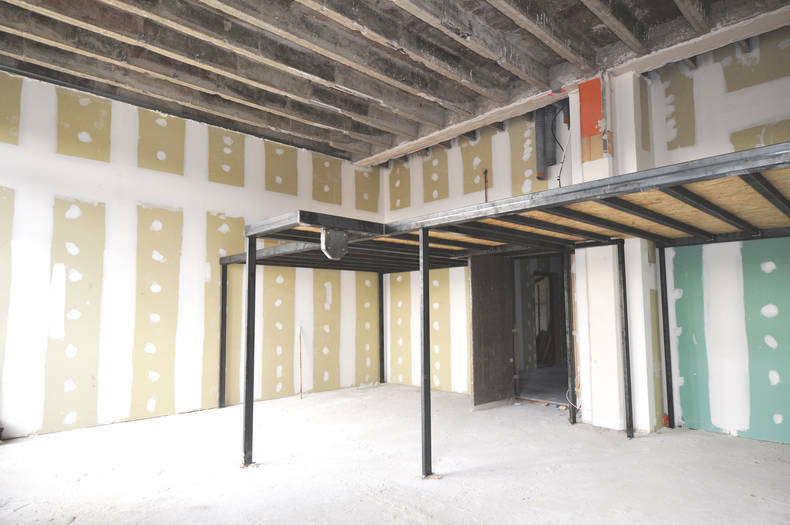 This large area has been completely demolished to re-create a partitioning and thus constitute 6 surfaces to develop. Without worrying about the technical part, you will be able to arrange your space to your image, according to your inspirations and your way of life. The lots benefit from equipment provided and installed such as a pre-equipment for air conditioning, VMC, fluids and evacuations pending. Your acquisition is therefore the purchase of a gross area called out of water and out of air ready to be arranged. Let us understand, all these facilities are not very aesthetic but nevertheless very useful to your comfort ... that's why a technical room is provided in the common areas to centralize and hide them. Plans, materials, layout and decoration, Quintessence is a real blank page to create your new place of life. Let your imagination enter reality! Quintessence is also the opportunity to call on the services of the renowned architect Stéphane Millet of the Cabinet Volumes Architectures. He designed a unique development project for each of the 6 surfaces to be developed. At your service, Stéphane Millet will accompany you in the customization of your interior: you are master of the place. You can also call on your own architect. 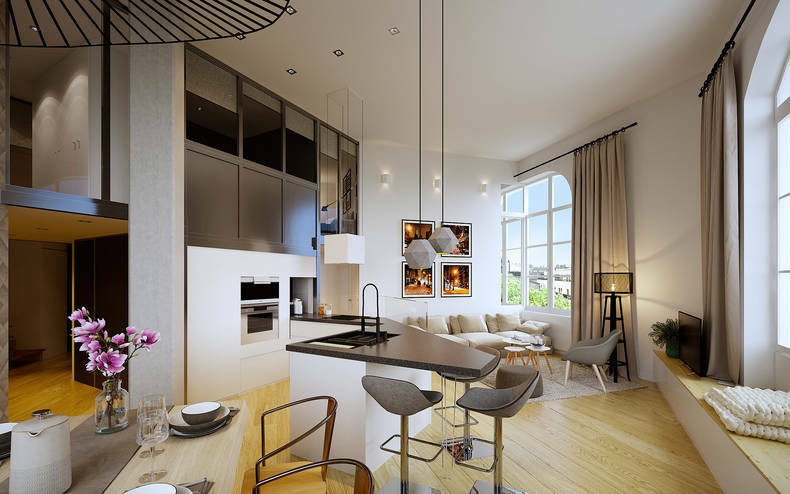 6 apartments to renovate in Lyon 6: make your choice! You will surely appreciate, in lot 6, the idea of a large reception room bathed in light with a magnificent view, a master suite on one level, a mezzanine serving two bedrooms and a bathroom. You may prefer the impressive corner living room of Lot 5 with its dominant kitchen, a single-storey bedroom and a mezzanine with two bedrooms served by two stairs. Unless you have a crush on these two lots and you take advantage of their joint ownership to make a huge family home ... Let's not talk about Lot 4 or Lot 3 which found their lucky ones elected. As for the lots 1 and 2, it will be their mezzanines 100% dedicated to the parental suites which will seduce with two rooms of even more feet feet. For the pure Lyonnais strain, needless to say that the place Puvis de Chavanne is one of the most popular addresses in Lyon! These prestigious apartments are close to all amenities, the neighborhood is teeming with shops. Another advantage of the project: a parking space is reserved for you at 500 meters and supported over a period of 2 years. Are you seduced by this exceptional project in Lyon? Karine Jacques, Catherine Valadji and Marie Lainé are our 3 high-end real estate expert consultants in the Lyon 6 sector and in charge of this fabulous Quintessence project. Contact them!